The UPPAbaby G-Luxe 2018 is a luxury umbrella stroller that is very light and compact. For 2018 it has been completely redesigned. Now it has more robust sturdier frame with a plastic leg rest in the front making it much easier for your child to climb into the seat. Before, there was just a rubber leg rest that didn’t offer much support. The canopy now has three panels with pop-out sunvisor instead of one panel. It looks a little more modern while providing the same great coverage. The wheels are now made out of rubber and have slightly changed in size. The front wheels are single now and are 5.5″ while the rear wheels are still double and are 5.7″. Not a big difference there. They’ve also updated the brake to two flip-flop-friendly pedals. No more shoe scratches! The basket stayed the same size, but is now easier to access from the back. They’ve moved the shoulder strap to the side so it doesn’t get in the way when you are trying to get into the basket. The shoulder straps on the harness have nice padding now. There was no padding before. I’ve also noticed that the back of the seat is slightly higher (very surprised they didn’t mention it in the overview video). It used to be 19.5″ and now it’s 20″. The handle bars used to be covered with foam and now are just made out of plastic. On one hand foam gets damaged more easily and is harder to clean, but on the other hand it feels much better when you pushing if for a long time. They’ve also added a nice size pocket for small essentials to the back of the seat. There used to be a removable seat liner on the previous model, now the padding is part of the whole seat.I also really liked very tall handle bars that are located 43″ from the ground. They used to be at 42.5″. That’s about it for the upgrades. Despite all the upgrades it still weighs only 15 lbs which is great for on-the-go parents who need a lighter stroller that they can run errands with and travel. It still has a deep one-hand recline, adjustable foot rest, standing fold, auto lock, compact fold, and a very roomy seat with plenty of head room for a taller toddler. It can accommodate a child from 3 months and up to 55 lbs. There is NO travel system option. The seat is made out of easy-to-clean fabric that is water and stain resistant. High performance wheels and all-wheel suspension will provide your baby with a smooth ride. There is no bumper bar, but removable cup holder is included. I gave this stroller a perfect score of 5 out of 5 stars because I really like the one-hand deep recline, the canopy is a great size, the padding on the seat is soft and easy to clean, the wheels are more robust than on your typical umbrella model, and there is an all-wheel suspension system which is rarely found on umbrella strollers. You are probably wondering what are the cons? I would like to see a peekaboo window added. Other than that, this is great stroller is on the top of my list! You can get G-Luxe in three colors for around $279. The price vary depending on the color for some reason. I know that this is a lot for an umbrella stroller, but the quality is outstanding! This stroller will last you for many years and multiple kids. Because of the high quality I would compare it to Maclaren. -Great canopy. The canopy now has three UPF 50+ panels plus a hidden sun visor that goes down all the way to where you would place a bumper bar (if there was one available). There is NO peekaboo window, but if your seat is reclined, you can lift the back of the canopy and take a peek at your child. Anyways, comparing to other umbrella stroller, this is a great canopy! -Tall handle bars. It has two ergonomic non-adjustable handles that are 43″ from the ground. Used to be 42.5″. I think the average is about 42″. These are one of the tallest handle bars on the market. They used to be covered with soft durable foam, but now are just made out of plastic. To avoid tipping the stroller backwards, hang your diaper bag on the frame using stroller hooks. You can also use it to hang your water bottle, or shopping bags. -Cup holder. INCLUDED! This is a removable cup holder that will can hold a regular size water bottle or a coffee mug. For even more storage I would recommend getting an universal stroller organizer. That way you can take not only your coffee cup, but also a LOT of stuff including keys, phone, water, wallet, snacks, diapers, toys, and more. The amount of stuff it can fit is unbelievable. And, you can move the included holder down the frame so your child can use it. -Padded seat. It’s a nicely padded seat that is 13″ wide with 20″ seat back and a measurement of 27″ from the bottom of the seat to the top of the canopy. The seat fabric is amazing! It is made out of high quality material that is stain and water resistant. If you look at the photo below, you can see how thick it is. The seat padding is now part of the seat and is not removable like it used to be. But you can take off the whole seat and wash it in the washing machine. It has a one-hand 3-position recline that is adjusted with a lever in the back of the seat. Although, it is a deep recline, it does NOT go all the way to a flat position. So, it’s recommended for kids that are 3 months and up to 55 lbs. BTW, It is not a very upright seat which I know can be a problem for some parents. -5 point harness. It has 5-point adjustable harness with padding on the shoulder straps and with a center release button that is very easy to open. The previous model had no padding. -Adjustable foot rest. You can lift the adjustable foot rest up to provide your child with maximum comfort during napping. This is a great feature especially for smaller babies who feel more comfortable stretching their cute little legs up. -Nice basket. The basket it large for an umbrella stroller. It can handle up to 10 lbs now! You will be able to fit a medium size diaper bag in it. It is also now much easier to access than before because they’ve moved a shoulder strap to the side. -High performance wheels. The G-Luxe 2018 rolls on four hard-rubber high performance wheels with single 5.5″ wheels in the front and double 5.7″ wheels in the back. The front wheels are swivel but could be locked straight for more stability. The G-Luxe also has a 4-wheel suspension to help you absorb some of the bumps. -All-wheel suspension. The all-wheel suspension will help to smooth out the bumps and make the ride a little smoother. This is a nice feature that is rarely found on umbrella stroller. Most of them have no suspension at all. -Flip-flop-friendly brake. The brake has been redesigned. Now it features two flip-flop-friendly pedals located on top of the rear wheels. -Easy fold. It is a two-hand fold activated by two finger triggers located on both sides of the frame. It’s super easy, but you do need BOTH HANDS. No foot action required. There is an automatic lock and standing fold which is very unusual to see in umbrella model. Most of the time you have to lean it against something or put it down on the ground. Keep in mind, it’s not particularly sturdy while standing. You also have to kind of balance it to make it stand. The only thing I didn’t like is how far the wheels stick out once the stroller is folded. You can easily knock someone out if you carrying it on your shoulder. LOL. The folded dimensions of 12”W x 8.7”H x 41.7”L. -No peekaboo window. I always like to see what my baby girl is doing. Sometime she looks up at me into the peekaboo window (if there is one) and gives me the smile that melts my heart. Not a deal breaker, but would be nice. 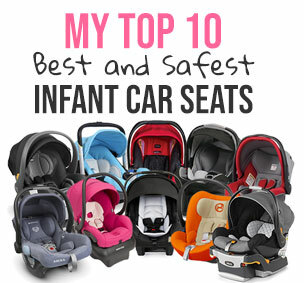 Here is a video overview from UPPAbaby. Folded dimensions: 12”W x 8.7”H x 41.7”L. Just wanted to go over updates again very quickly. -Canopy. It has three panels instead one panel. Still the same coverage. -Harness. They’ve added padding to the shoulder straps. Used to be no padding at all. -Higher seat back. It used to be 19.5″ and now is 20″. -Taller handle bars. They used to be at 42.5″ and now are at 43″ from the ground. They are also now made out of plastic and don’t have nice foam cover. -Wheels. They used to be all double wheels. Now it has single 5.5″ wheels in the front and double 5.7″ wheels in the back. -Storage pocket. They’ve added a new storage pocket to the back of the seat. Big plus! -Seat. The seat pad is now part of the seat is not removable like on the previous model. -New frame. The frame is now sturdier and more robust. They’ve also added a plastic leg rest in the front. -Basket. It’s easier to access now. -Flip-flop-friendly brake. This is a big one! It used to be not flip-flop-friendly at all. -Colors. Only three colors now. Used to be six. For 2018 UPPAbaby G-Luxe is available in three colors: Jake, Jordan, and Aidan. You can get UPPAbaby G-Luxe 2018 in one of the three beautiful colors for around $279 (free shipping). It comes with a cup holder. Curious, which stroller did you get instead? I am looking at the the G-Luxe and the Maclaren Triumph, but open to ideas. Need something with good recline and lightweight, bc I live in NYC and have to do subways. Underneath storage is definitely helpful as well. I’d like your advice on strollers and I’ve narrowed it down to three: Armadillo XT, B-Agile and G-Luxe. We are a suburban family and use our car for everything. Given that, I don’t see a real need for a stroller within the first three months since we plan to baby wear (wrap and carrier). Baby will go from hoke to convertible car seat (Maxi Cosi w/ Tiny Fit) to carrier. There is a park just a five minure walk from our home and that’s the only place I can envision us possibly strolling to straight from the house. Our baby will be born in the Spring, which is hot already. We just want to buy one stroller and use it for multiple children. Here’s my pro vs con list. Any help you can give is very much appreciated. I personally love love my g-luxe!! my friend convinced me to get one over any maclaren stroller. i must say – i’m thrilled i did. i really had wanted a car seat compatible umbrella stroller but there aren’t really. i’m tall, so i’m really happy with the g-luxe’s height. my hubby also pushes it quite comfortably. Great stroller. Feels like a Mercedes for a baby.